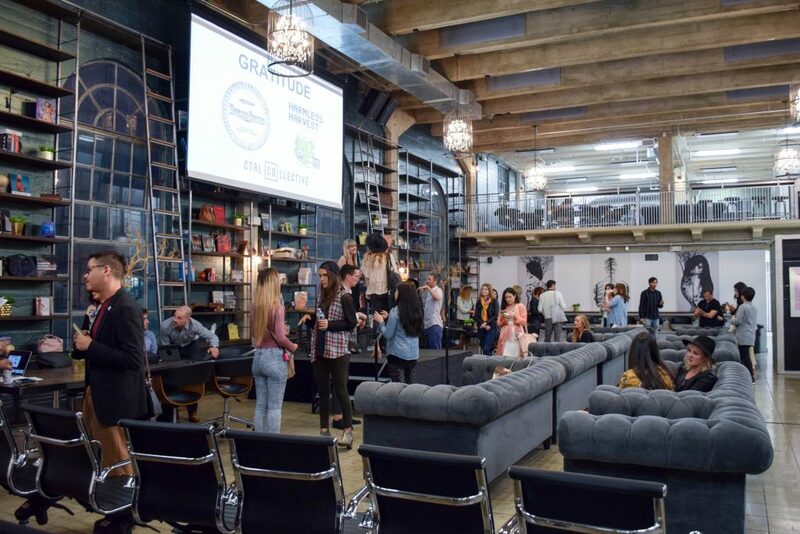 Los Angeles really is one of the leading hubs for sustainability, from Mayor Garcetti’s Make it in LA initiative to bring back local manufacturing, to offering over 100 plant-based restaurants, to being one of six cities around the world to host the new EcoSessions event series. EcoSessions® is the first global event series that connects designers, industry, and citizens to build community and affect change through learning, engagement, and networking. I have the privilege of being on the EcoSessions LA team, helping with events and overseeing the social media (stop by and say hi!). Past events have included Ethical Jewelry, Textiles Innovations, and Clean Beauty, and most recently our topic was Vegan Style Head-To-Toe. 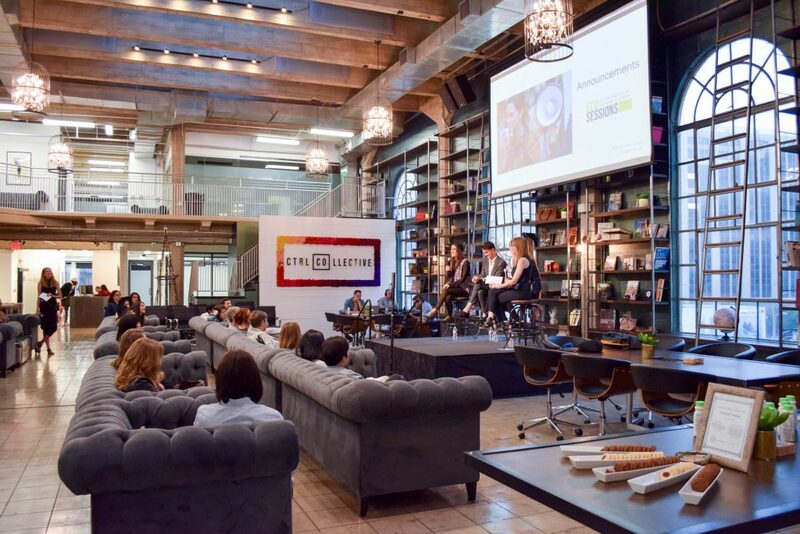 I had the honor of moderating this panel at the new CTRL Collective in downtown, a gorgeous co-working space right in the heart of the fashion district. The panel featured vegan entrepreneurs Amy Rebecca Wilde (Vegan Scene), Justine Lassoff and Katie Miller (LOVE GOODLY), and Troy Farmer (Moo Shoes), with treats by Harmless Harvest Coconut Water and the most delicious vegan sweets by Mustard Cookies. Left to right: Amy, Troy, Katie, Justine, and Me (Sica) – all wearing vegan fashion! I was pleasantly surprised that about half of our audience wasn’t in the fashion industry, and an equal number weren’t vegan. This means that instead of preaching to the choir, we are reaching new people who are curious about the vegan lifestyle – and rightly so. Vegan fashion is no longer just an animal welfare issue but is also an environmental issue as well, with new research showing that synthetic leather has only a 1/3 of the environmental impact of cow leather. The conversation flowed from how each company got started, to what terms like “vegan” and “cruelty-free” actually mean, to the future of the vegan fashion and beauty industries. The consensus was optimistic, with excitement for the advances in textiles and pigments, education, and general awareness. 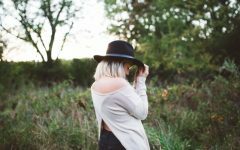 The growing number of enviable styles from a growing number of vegan and vegan-friendly brands is making vegan style more accessible than ever, and more appealing. After the panel we leave time for networking, where the audience can meet the panelists and each other. 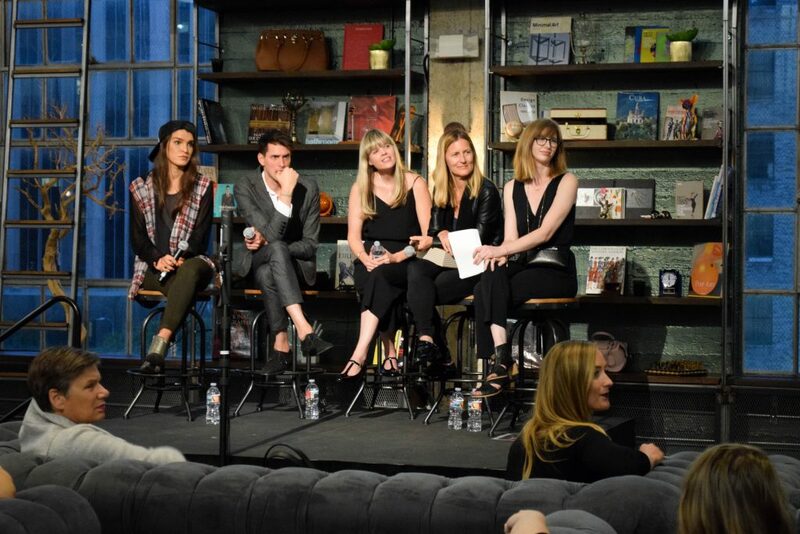 Vegans and non-vegans alike told me how inspired and excited they were to learn something new about vegan fashion and beauty, and I hope to see the conversation continue to grow even now that the panel is over. If you’re interested in joining the next EcoSessions, check if it’s in your city, request to start one in your town, or join us next month for an EcoSessions LA panel on fair trade fashion at my annual Fair Trade Fashion Show.